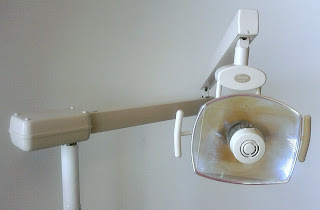 I went to the dentist this morning and half of my face is still numb, even though it’s almost 1:30 pm as I write this. That’s what I love most about going to the dentist, is walking around with a numb half-face for the rest of the day. No, seriously, it sure does beat the drill. The dentist asked me if I am a natural redhead. I am not, but it runs in my mother’s family, so it’s definitely lurking around in my genes just waiting to emerge in the form of a pale, freckly baby who doesn’t look like his father. Dr. Drill was interested because I needed two shots of Novacaine in the jaw and then two more applied directly to the tooth in question, which is why I’m still numb four hours later. Apparently redheads need more anesthesia than blondes and brunettes, and he also thinks I have the complexion of a natural ginger. It's just the light in here, Doc. People have been attempting to numb pain during surgical procedures since the dawn of human history, but have only really gotten it right in the past couple of centuries. The ancient Babylonians used a mixture of gum mastic and henbane seed to treat painful dental caries. Henbane, or “stinking nightshade,” was also historically used in magic potions because of its effects, which included hallucinations, flushed skin, restlessness and dilated pupils. The priestesses of Apollo in ancient Greece used it to consult the oracles. Some believe it to have been the poison used to kill Hamlet’s father. Opium was another popular early anesthetic, as was mandrake, another hallucinogenic nightshade used in magic potions. It is poisonous. 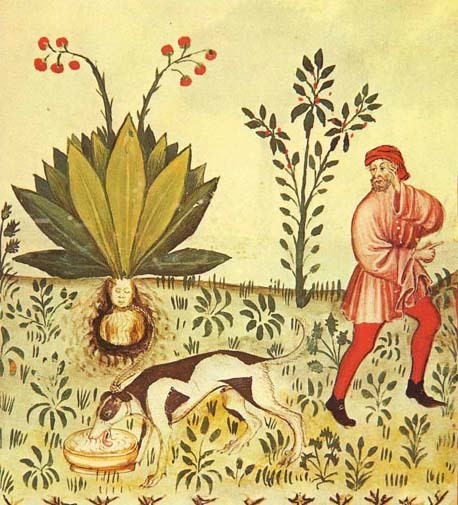 Legend has it that the mandrake plant screams when dug up, and that anyone who hears this scream will be killed. Early texts recommended digging it up halfway, tying it to a dog, and then running away, so that the dog pulls up the root and dies instead. I wonder how many people lost dogs this way. Ancient Chinese surgeon Hua Tuo, who lived from about 145 to 220 AD, is said to have concocted a formula for general anesthetic from wine and herbal extracts, which allowed him to induce unconsciousness in patients and perform major surgery. The formula for the anesthetic was lost upon his death. Throughout the Middle Ages in Europe, various herbal tonics were used to render patients unconscious or at least take the edge off during surgical procedures. These tonics typically included such ingredients as henbane, opium, lettuce, mulberry juice, hemlock, ivy and mandrake. Medieval English surgeons used a potion known as “dwale,” which contained vinegar, bryony root, lettuce and bile, as well as hemlock, opium, and henbane. Dwale was often administered by caregivers, such as wives and mothers, as well as by surgeons, although the hemlock in the mixture indeed caused death in some cases. 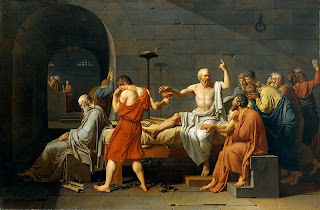 They wouldn't have heard about the death of Socrates; they didn't have Google. Scientists began to discover the anesthetic properties of things like nitrous oxide in the 18th century. The first person to notice the pain-relief potential of nitrous oxide was not a surgeon, but a physicist, Humphry Davy. In the early 19th century, Japanese surgeon Hanaoka Seishu used his knowledge of Chinese herbal medicine to recreate what he believed was the ancient general anesthetic potion used by Hua Tuo. Whether or not his potion, which he called tsusensan, really was the same as that used by Hua Tuo, it seems to have worked; in 1804 Hanaoka performed the first documented surgery under general anesthetic, a partial mastectomy to treat the breast cancer of 60-year-old Kan Aiya. By 1835, Hanaoka had performed more than 150 such operations. In the Western world, physicians began experimenting with things like morphine, nitrous oxide, ether and chloroform as anesthetics in the early 19th century. Early surgeons held what they called “ether frolics,” where audience members were invited to try out the ether. By the 1840s, nitrous oxide had become a popular dental anesthetic. Chloroform gradually replaced ether as a general anesthetic throughout the latter part of the 19th century, although it, too, was phased out when it was found to cause fatal heart palpitations. Of course, the 20th century saw the proliferation of injectable and inhalable anesthetics that mostly don’t kill people at all. And are definitely better than a screaming root. fascinating read. My cousin's wife is a red head and she had to have an emergency c-section, so when after the spinal didn't stop her from feeling the slicing they had to put her under general. Scary! Yeah! My dentist told me that people used to wake up during surgery and stuff! How awful! Hmm, so if the mandrake screams when it's dug up and the scream kills you if you hear it, how do you dig it up? Was this a niche job for medieval deaf people? The dog, they used the dog. Did your dentist explain why redheads are more resistant to anesthesia? No, I'm assuming it's genetic. Ha- I have to be careful because apparently I could die from it. Maybe. Family history and crazy test to find out if I inherited that affliction.